It’s time for another edition of The Sandbox, the weekly feature in which the GamerNode team members reveal what we’ve been playing over the past few days and what we’ve got on our plates for the weekend. This week we explored Columbia, put our sky-hooks to good use, and learned about a special young lady named Elizabeth, among other things. As you might guess, I beat BioShock Infinite around 20 hours after its release. I’ve started a second playthrough on Hard, this time searching in every corner for a Voxophone or some kind of clue to the really challenging questions the game posits. Having already played through maybe a quarter of it again, I can say that, true to the form of the first game, there’s a lot more richness to the EXACT SAME DIALOGUE the second time through. In addition to unraveling the mystery of the plot more clearly, a second take puts into clearer focus some trying concepts that the narrative functions on. In short, please play this game so we can talk spoilerifically about it. 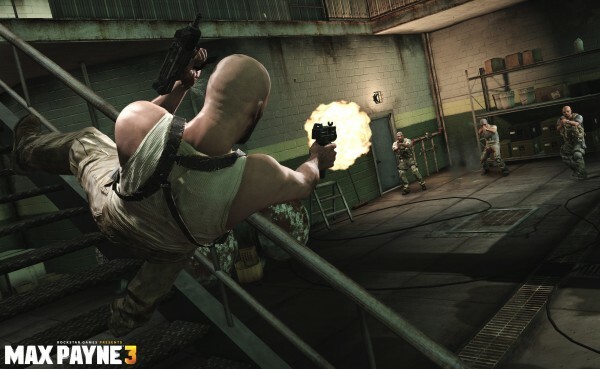 Last weekend I plowed through 75% of Max Payne 3. I’m not in love with the game mechanics, but the well-written dialogue and awesome set pieces are keeping me coming back. I’ll wrap that up this weekend. I also tried out PlayStation All-Stars Battle Royale. Not my cup of tea but it seemed pretty fun. Next on the docket for me is finishing up the Mass Effect trilogy. Really looking forward to that, but I’ll have to fight my roommate over the TV (he just rented BioShock Infinite and DmC). So many gaaaaaaaaames, I can’t keep up with them all! So after Thursday’s Co-Op Node, I’m right at the climax of Tomb Raider. I do want to finish it as soon as possible, but I made the grave mistake of starting BioShock Infinite before finishing with Lara. Holy sweet crap BioShock Infinite. I don’t know what fountain of intelligence Levine and his crew drink from, but I’ve never played anything like it. I’m about two-thirds through, so I should be finished by the time Sandbox posts… look for Tweets that say things like “HOLY CRAP MIND BLOOOOOOOWN” and such. 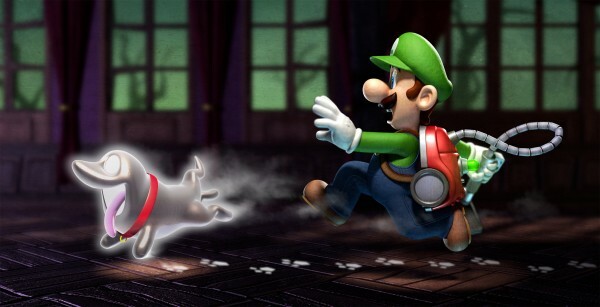 However, not to be forgotten, I’m ALSO traversing haunted houses looking for ghosts in Luigi’s Mansion: Dark Moon. I missed the first game, but I’m instantly regretting it because Dark Moon is delightful. Luigi is such a reluctant hero, I want to cheer him and feel sorry for him at the same time. It’s a great game if you need something for the 3DS. This week I will finish Tomb Raider, which has been one of my favorites as of late, and I’ll crack into BioShock Infinite to see if our Citizen Kane has arrived. *rolls eyes at THAT phrase* Hopefully the Don’t Starve beta doesn’t cease all productivity and prevent me from playing those two blockbuster releases. Finally, I’m going to play some volleyball now that all my ligaments seem to be back in working order (tore my PCL and all the ligaments in my ankle, plus had shoulder surgery last fall). Wish me luck!! 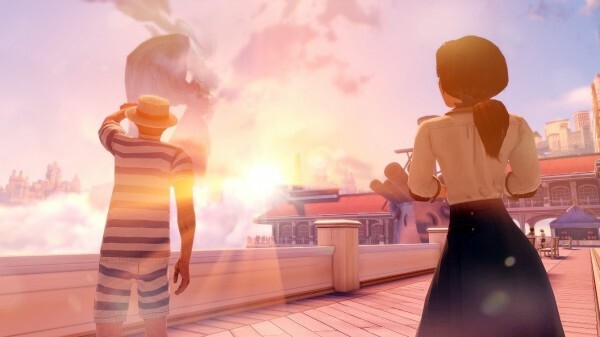 Like much of the GN crew, I spent this week exploring Columbia in BioShock Infinite. Yet again Irrational Games manages to create a living, breathing world in which finding every nook and cranny of the decaying city in the sky is arguably the most rewarding part of the game. 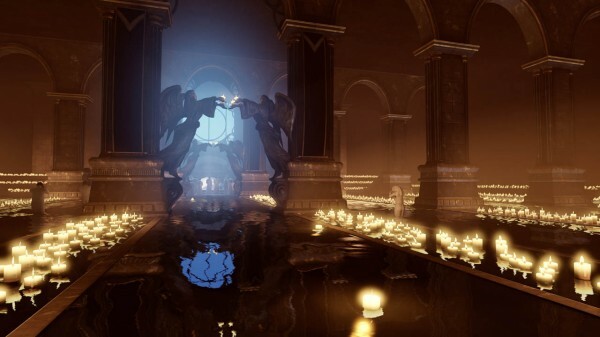 Whereas the original BioShock was about discovering the aftermath of a utopian downfall, Infinite is about experiencing the downfall. It makes for some exciting narrative turns that trump the first game, and I still cannot get those final moments out of my mind. This is an ending that will be talked about for a long while. BioShock Infinite carries the BioShock name, but I was surprised by how different the game felt. A large part of that came from Elizabeth, one of the best videogame companions I’ve ever had the pleasure of spending 12+ hours with. She’s compelling in all the right ways, is voiced wonderfully by actress Courtnee Draper, and even provides help during combat. 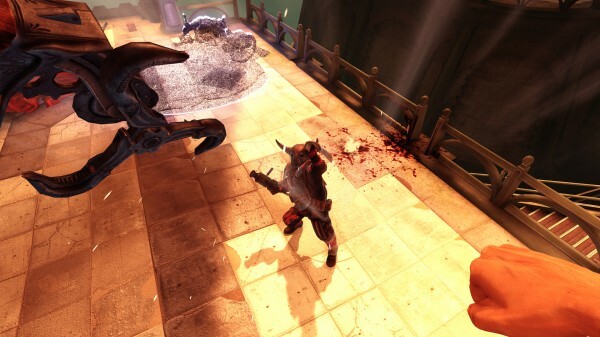 In fact, the combat is the most surprising aspect of the game – it didn’t feel like there was a huge divide between the mechanics and narrative, unlike the original. I had fun combining the different weapons and vigors along with Elizabeth’s skills, and riding the skylines during encounters is an absolute blast. My weekend will be spent finishing up a second playthrough so I can piece together some story bits that didn’t quite make sense to me the first time through. Also, I love seeing all of the foreshadowing now that I know how the game ends – props to Ken Levine and company for dropping all those clever hints in there. It’s noon, Tuesday the 26th of March. I’ve got today and tomorrow off work, but whether by postal subterfuge or cruel twist of fate BioShock Infinite still hasn’t turned up. That is simply unacceptable. Without a moment’s hesitation I march into town, to GAME, to buy a second copy. I’m getting this game done by Wednesday – on hard difficulty as well. I bought the original BioShock quite late – a year or so after it came out, I think. I thought it was brilliant. I thought it was so brilliant that I nagged my Media teacher for weeks to let me write about it for my AS Level coursework. Eventually, whether out of boredom or genuine acceptance, she gave in. What followed was my first ludic love – the first game in which I sat down, for hours and hours, and read about the game, wrote about the game, and spent ages just poking around all the corners, looking out for all those incidental details. I even read some Ayn Rand, but everything has its drawbacks, right? So I was pretty excited for BioShock Infinite. Did it live up to expectations? Put simply, I can’t remember the last time I was so hopelessly enthralled by a game, both in play and in pursuit of its narrative. I’ll leave it there, lest I work myself into an enthusiastic frenzy and the resulting flecks of spittle short-circuit my laptop. (Although roads should totally be replaced with skyrails. Man skyrails are cool!). If the rest of the staff’s blurbs aren’t any indication, there’s this little game called BioShock Infinite that’s got everyone all excited this week. I, too, have picked up this game and am loving every bit of it. The combat was rough at first, but I’m in the groove with it now and have become quite a fan of the Possession and Shock Jockey tonics. 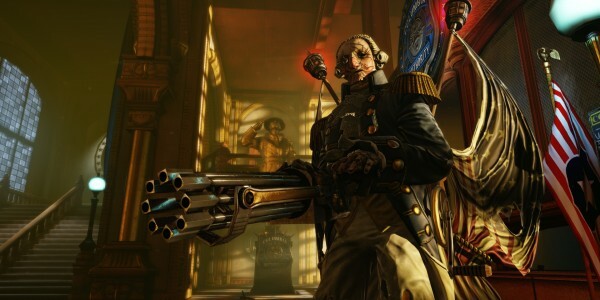 If this story keeps going the way it has – I’m currently doing crazy stuff in the land of Fink – then I’ll be ready to bow down and call Irrational Games the best studio of all time when it comes to mind-bending, thought-provoking narrative. So much crazy awesomeness that my head is trying wrap itself around, just incredible. And can we talk about how creepy yet amazing it is to hear “Fortunate Son” and “God Only Knows” sung in a 1912 barbershop quartet/folk style? Other than that it’s just the usual NHL 13 gaming for me this week. My top line has all come back from injury and we put together a nice winning streak to keep ourselves cemented in the middle playoff spots. Here’s to hoping we can keep it going and get a good seed as the season’s end is fast approaching. This weekend I’ll be looking to finish up BioShock Infinite and if I do, get started on Lara Croft’s rebirth in Tomb Raider, which I sadly have not had a chance to play yet.